Conner, a 17-year-old capuchin monkey from Ramat Gan Safari Park, escaped the park earlier this month and set off on a foray into the outside world. Staff from the zoo scoured the immediate area around the zoo and eventually captured him, unharmed, after about a week. Peanut traps were set all around the area where Conner was thought to be hiding and, sure enough, Conner fell for the bait. 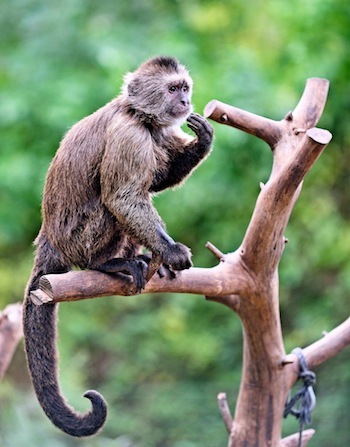 None the worse for his adventure, Conner, after being checked by the safari park’s vets, was returned to his enclosure and was last seen telling his fellow capuchins what it is like on the other side of the safari park wall.